Newsclick speaks to H Mahadevan on the Hindustan Aeronautics Limited, the LCA project and the motivated campaign to discredit Defence PSUs in order to facilitate privatisation. Mahadevan is the all India Working President of the AITUC and former General Secretary of the HAL Employees’ Association, Bangalore. Hindustan Aeronautics Limited (HAL), a major Defence Public Sector Undertaking, has initiated the process of disinvesting 10% of its shares through an Initial Public Offering (IPO) with the filing of the draft red herring prospectus with market regulator SEBI on 29 September 2017. The Congress-led UPA government had given the nod for the 10% disinvestment of HAL in 2012. The corporate media has been for long demanding that public sector undertakings (PSUs), including Defence PSUs be sold off. The BJP-led NDA government is pushing ahead with the agenda of defence privatisation, which has been set in motion with the moves to privatise the Bharat Earth Movers Limited and to outsource the production of defence equipment currently manufactured by Ordnance Factories. Severe, often unfounded, criticism of the PSUs has been part of this attack on the public sector, aimed at facilitating the handing over of public assets to private corporates. The HAL also has been the target of such attacks, with the critics focusing on the Light Combat Aircraft (LCA) project in particular. 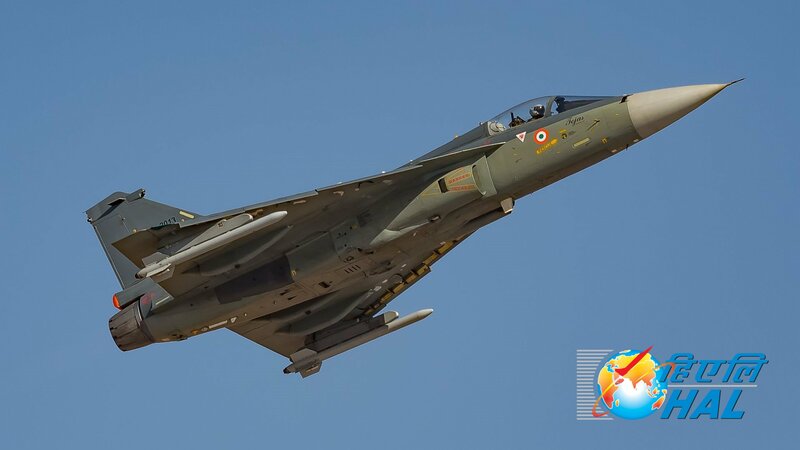 Earlier in August, it had been reported that HAL is looking to increase production of the LCA from 8 to 16 platforms per year from 2019-20. Nevertheless, the government has decided to initiate what might be the first step towards the privatisation of the Navaratna company. Subin Dennis from Newsclick spoke to H Mahadevan, who was the General Secretary of the HAL Employees’ Association, Bangalore for 25 years from 1967-68 onwards regarding the LCA project. Mahadevan has also served as the Convenor of the All India HAL Trade Union Coordination Committee. He is currently the all India Working President of the All India Trade Union Congress (AITUC), and Deputy General Secretary of the World Federation of Trade Unions (WFTU). Newsclick: Could you tell us about the development of the Light Combat Aircraft (LCA)? Mahadevan: Hindustan Aeronautics Limited (HAL) developed Ajeet fighter aircraft under license in the 1970s, in record time. Gnat was developed under license. That shot down sabre jets. In the late 1970s and the beginning of the 1980s, Kiran Basic Jet Trainer was very successfully done. 180 of these were made, and they were the backbone of the Air Force for a long time. It was done in a record time of five years. Before proceeding further, I want to tell you, there are big lobbies. There is an outright purchase lobby. That lobby, both within the Air Force and the government, doesn’t encourage our own production. It is a very strong lobby. After late 1970s and 80s when Kiran Basic Jet Trainer was made, direct purchase was made. In about 20 years it performed badly. Then Kiran variant, Mark II was made. Then they had HF-24 Marut, there were problems regarding the power of engine. But there was no government support for re-engineering. Unfortunately one pilot, one Suri by name, betrayed us at that time. “Give me something that flies”, he said. Then Suranjan Das flew our aircraft HF-24 Marut very successfully. Suranjan Das was one of the patriotic pilots, a good pilot. We have named a road as Suranjan Das Road. [He died in an accident involving the HF-24 Marut]. There have been several accidents in MiGs also. The blame is always sought to be put on HAL, the local manufacturer. There are three possibilities [in such cases]. If it is technical error, the responsibility is on HAL. If it is human error, the responsibility would be that of the Air Force. If it is maintenance lapse, that would also be the Air Force’s responsibility. But the Air Force tends to put the blame on HAL. Take the case of MiGs, for example. There were court of enquiries on them. Finally, we found that it was the contaminated oil in the booster that caused the problem. We rectified it thereafter in the MiGs. Before that, there were lots of accidents involving MiGs. There was also Avro, an aircraft taken from Britain. HAL was blamed for accidents involving this aircraft also. We disagreed with the Air Force, and said it was due to error by the pilot. Finally the voice recorder proved us right. The error was the pilot’s. I am raising these points, to say that these are some of the past incidents where the manufacturer was sought to be blamed. And the actual fact was otherwise. Now I’ll come to the LCA. As I said earlier, there are three lobbies – outright purchase, licensed manufacturing, and indigenous production and development. The last one, indigenous production, is more difficult and time-consuming. And it requires many coordinated activities. This is to be borne in mind before we proceed further. Now for LCA, the prototype was flown in 2001 January. Design and development normally took seven years. In the world, normally, design and development from basic to prototype flight takes 8 to 10 years. Sanction was given to DRDO for LCA in 1985. Sanction was not given to HAL, but to DRDO. In 1985, organisation definition was made. It took 3-4 years. Aeronautical Development Agency (ADA) was the programme management organisation. It was felt that the collective wisdom of all the organisations would be better. HAL was one of the organisations. HAL, National Aerospace Laboratories (NAL), Aeronautical Development Establishment (ADE), all were together, and the programme was assigned to ADA. Dr. Kota Harinarayana was the chief of the programme. This was the beginning stage. Integrating all these took time. Design, weight, mock-up, pilot has to come and see, all these took two years. Then systems and evaluations. We had to purchase systems – avionics, hydraulics – these were the systems which had to be purchased. Then, we go to conceptualise the aircraft, the configuration stage. This takes three years until the prototype is developed. Now we come to the next stage of new technologies, fly-by-wire control systems. That was the latest modern system. Major structural carbon-fibre components were there. All these were new inventions. Then there is consultancy. One is fly-by wire. Suddenly new models were suggested by the customer. It took five months, which was extended to one year. Then the testing. Lots of good decisions were taken then. CFT analysis and configuration was done. Then came the allocation of responsibilities – who has to be assigned what. Management decisions regarding all these things took a long time. Two years were taken for allocation of responsibilities. That is management’s indecision – you know that the coordinating body was already made. Should we retain the integrated team is the question, because the integrated team took a lot of time. That was one. Then comes the Air Force. The customers thrusted their own systems. Then came foreign exchange problems. There was a lull period of two to two and a half years. The GE (General Electric) engine was to come from the US. The integrated team took time, and ADA – the coordinating body – was not effective. Time and cost management caused a lot of delay. Then, there was the national team under NAL. Eight prototypes were sanctioned. It took 4-5 years. The visualisation was 10-12 years. Then CFT and fly-by wire control systems, HAL had to do what was decided much later. After Pokhran – I was telling you about foreign exchange – the door was closed by the US. We had to do it again from scratch. Technical committee was made under ADA again. It was there already, and raised the question whether we can do it. There’s the wrong decision by the technical committee. Concurrently development of technology was done by HAL. All these things were delayed. HAL had no option, but to follow this. The first TD-1 (Technology Demonstration) was done in 2001. Prototype building in 2003-04. Flight test was to be conducted independent of HAL. For this National Flight Test Centre (NFTC) was formed. Each decision took two years. Design-making, there was the management failure, they were all thinking of theoretical knowledge. If it is not HAL or ADA, who is responsible, that was the question. Cost is naturally associated with delay. Every day cost is increasing because of the delay. And nobody is capable of giving answers. LCA, of course, is a successful aircraft of the HAL. HAL is capable of making this one. But all these delays have cost it, starting from the time of the original decision of the 1980s, and then the integrated management, system orders, then there was assignment of responsibilities. All these things have taken time. Attributing all the delays to HAL’s manufacturing is not correct at all. Now government is going for Rafale. I don’t know, change of decision... Air Force changes decisions, government also changes decisions. Now I only would like to say, on the whole there must be creativity at every stage, which was missing. There is only productivity, design and development, we see them from their decision-making. Air Force wants systems, we make it, and we also redo everything. It’s alright, it’s all required to be done. I am not saying it is not. Our own manufacturing takes time, but I have the feeling that due to the lobby I mentioned earlier, there is little encouragement for that. Only people like Pt. Jawaharlal Nehru, Krishna Menon, and Indira Gandhi took some strong decisions. Whereas many others were not taking such strong decisions. They want to either go for outright purchase, or licensed manufacturing. It pays them one way, and also satisfies them because they can do it without risk. Newsclick: What if LCA was given to HAL alone instead of being given to integrated management? Mahadevan: If it was given to HAL alone, many things could have happened. They thought integrated management was necessary. HAL, NAL, ADE... and assigned to ADA finally. ADA took a lot of time. There were time and cost management issues. It is alright; we had to purchase systems – avionics, hydraulics etc. I’m only saying that there is a potential capability. But all these things have been delayed. Newsclick: You mentioned Rafale. There are media reports which quote the Dassault CEO which say that the original plan was to get HAL to manufacture Rafale, but then apparently they were told that HAL is fully booked; and they had to turn to the Ambanis for manufacturing Rafale aircraft. Mahadevan: I do not know the present status. But HAL has been doing it (producing fighter aircrafts) and it can do it. Possibly they have been assigned with something else. A helicopter division is going to come now. They have just seen a place: Tumkur in Karnataka, and the helicopter division is going to come. And India has produced a lot of helicopters in the past. I am only trying to say, this is how the decision-making itself takes a lot of time. Sometimes a new government comes, sometimes new people come there. Now the present government, with all its wisdom is only thinking of supporting the multinationals. They are not supporting indigenous development. This is a real thing. They may talk about many things. Prime Minister may make many speeches. But Nirmala Sitharaman-ji has to do what she is told to do. Encourage all the private sector as well as the international companies in order to get “quick results”. That’s what they say. Newsclick: What would you say regarding the mainstream media campaigning against the Defence PSUs? Mahadevan: I have seen what the Times group has been saying against Defence PSUs. India Today also has published many things. One whole article against DRDO. Then another one against Ordnance Factories. This is deliberately motivated writing, done in order to undermine or ridicule what we have done all these years. They are trying to say that nothing had been happening. The private lobbies are getting such articles written. The role being played by such media here is not a patriotic one. Disclaimer: The views expressed here are the authors' personal views, and do not necessarily represent the views of Newsclick. NewsClick's Daily Round-up brings you the news that is important, but not so trending. In this video, Prabir Purkayastha and Paranjoy Guha Thakurta discuss what a bad day it has been for the Modi government.